With his no-nonsense, no-frills style of play, Hall of Fame middle linebacker Ray Nitschke personified the Lombardi era of the Green Bay Packers. Called the hardest hitter in NFL history by many football historians and fellow players, #66 instilled fear in opponents with his crushing blows, loudmouth taunting and trademark, toothless sneer. Drafted by Green Bay in the third round in 1958, Nitschke eventually went on to MVP honors in 1962, Pro-Bowl selection in 1964 and All-Pro selections in 1964, '65 and '66 playing in 190 games over his 15-year career, the second most in Green Bay history. Not only does Nitschke describe impressive statistics and football feats; it provides an intimate look into the life of a man who conquered his own emotional demons with alcohol abuse and aggression. Through interviews and first-hand accounts by players, coaches, journalists and friends, we find that Nitschke, the on-field ogre, was a gentleman and dedicated family man. As the product of a struggling blue-collar, Midwestern upbringing, Nitschke made himself available to football lovers and Green Bay fans of all ages, active in the community until his death in 1998. 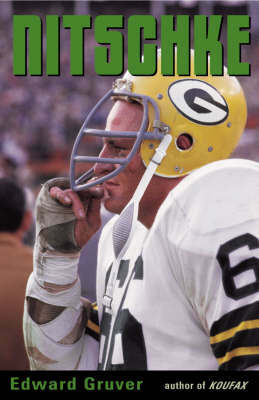 Nitschke accurately paints the picture of an 'everyman,' despite-all-odds football player who rose to inhuman heights in the game and forever changed the course of defensive denomination and player intensity in the NFL.